The Cast, Hey, hey we’re.. The Beatles movie Hard Day’s Night was a huge success. So naturally, TV wanted to imitate this. But instead of recruiting a real band for the project, they manufactured one. 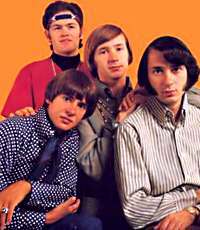 They hired actors Dolenz and Jones, who had no music experience, and Tork and Nesmith who had a little music in their backgrounds. They molded them into a band of sorts, although for the first numbers, they weren’t allowed to play their instruments which made touring a problem. They filmed the show as a light comedy with surreal elements, like Hard Day’s Night. And guess what? It was a raging success. The show and the songs were instantly popular. The band demanded and got more creative control over the music. 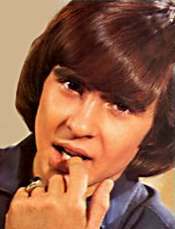 But in the end, The Monkees were contrived and neither the show nor the band would survive. In 1967 The Monkees sold more records than the Rolling Stones or the Beatles! 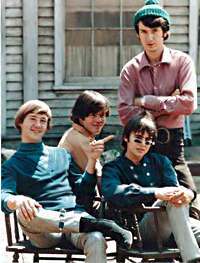 TV Guide’s Monkees Page, with TV Listings, Photos, Videos, Exclusive News and More.